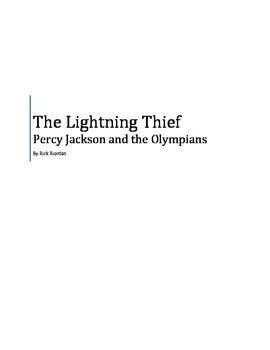 Chapters 1-3 of a novel study for Percy Jackson and the Olympians: The Lightning Thief. 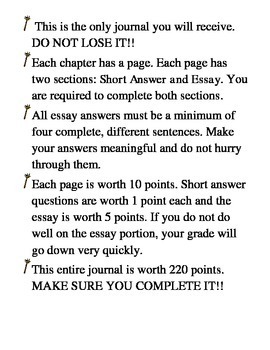 Each chapter includes 5 short answer questions for each chapter that assess lower DOK levels and understanding, and one essay question that requires higher order thinking skills. I use this product with the book as a read aloud. It encourages active listening and thinking beyond what is simply in the book.